Economical manual rewind reels for long lengths of hose. Standard outlet: 1" female NPT thread. Consult factory for power reels for 1" hose. Power rewind not available on these models. 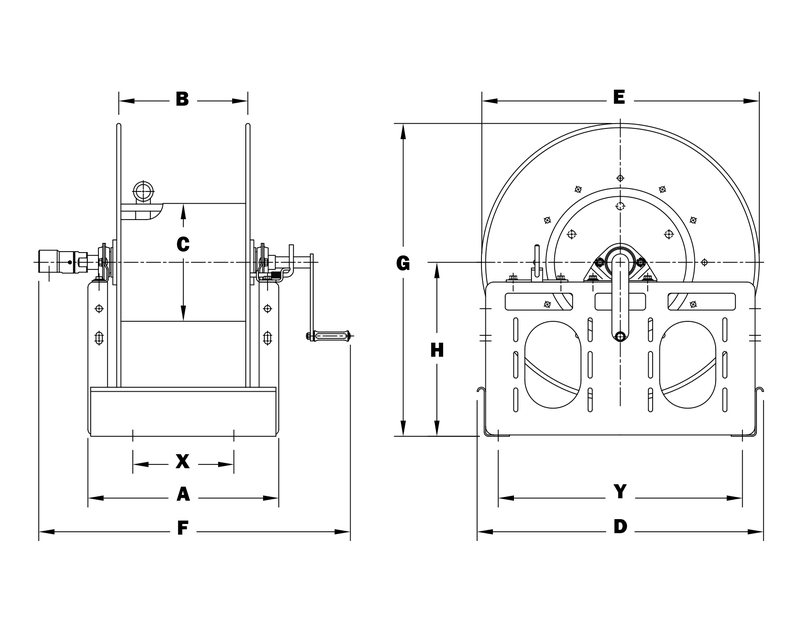 Dimension "F" is the overall length of standard model reels. Crank rewind models, 3-1/2" clearance required to remove crank. Subtract 5" from "F" dimension for disc rewind models. Mill finish is standard; satin or polished finishes are optional.